The state of Washington hopes to declare nearly all of its inland marine waters as a no-discharge zone to ban the dumping of boat sewage—treated or not—from pleasure and commercial craft. 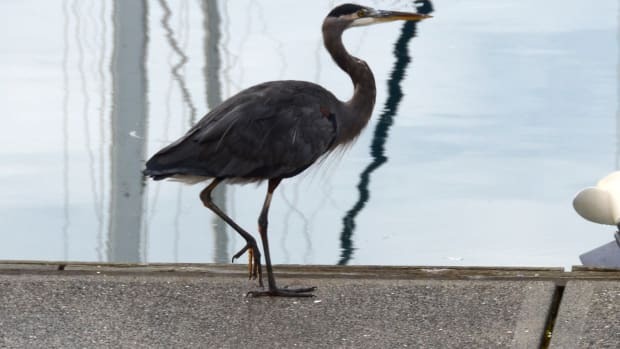 If finally approved by the federal Environmental Protection Agency, the NDZ would apply to roughly 2,500 square miles of marine waterways, from the Canadian border on the north to Olympia about 130 miles to the south. 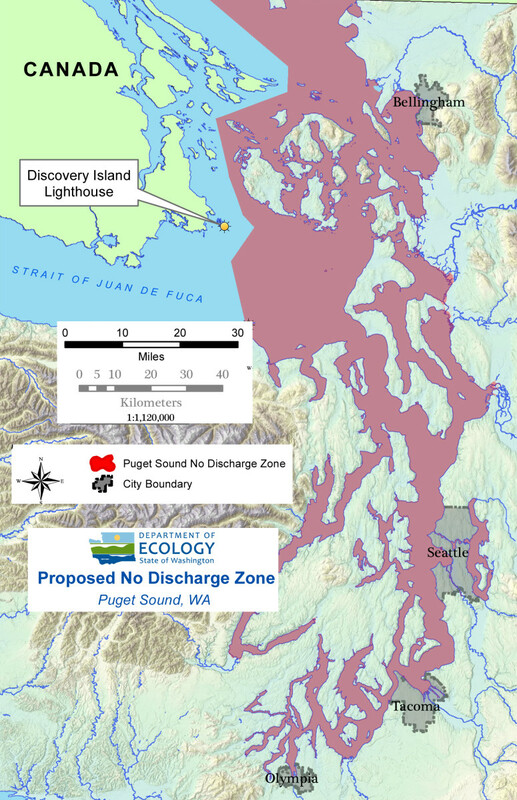 It would be among the largest of about 80 no-discharge zones in the U.S. 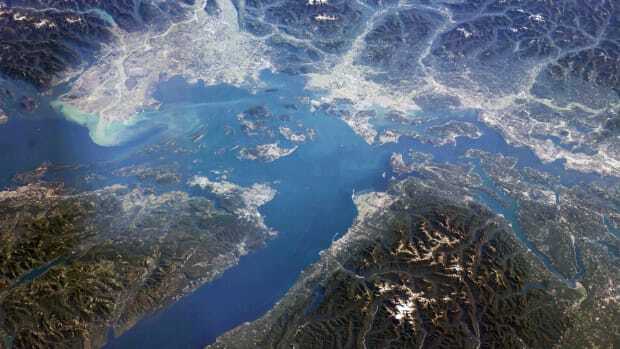 It would include the busy waters of Puget Sound fronting major cities—Tacoma, Seattle, Bremerton and Everett – and the park-lie San Juan Islands and a large scattering of harbors and channels popular with recreational boaters. Also included would be Lake Union and Lake Washington in the Seattle area. 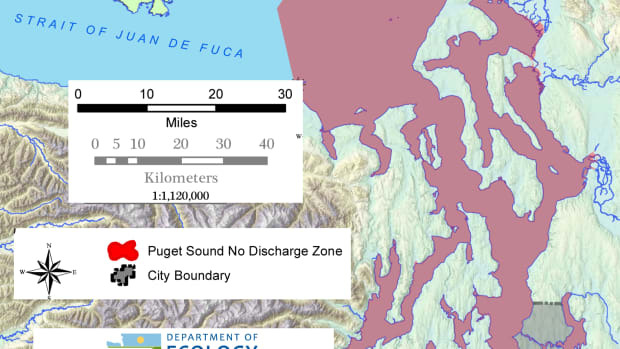 The only area exempted under the draft proposal being prepared for EPA review would be the length of the Strait of Juan de Fuca that lies inside U.S. boundaries. Today, federal law bans the discharge of untreated sewage within three miles of the shoreline. There probably is no place within the proposed NDZ in which a boat can be more than three miles from a shoreline, making the dumping of raw sewage unlawful throughout that large area. Waste treated by so-called Type 1 and Type 2 systems may be discharged anywhere within the zone. Those systems process sea water to create chlorine-like compounds that kill many pathogens found in human waste. If the NDZ is created boaters using treatment systems would need to add a Type 3 – a holding tank. All vessels, pleasure and commercial, would be required to go to a pump out station where waste water would flow into a sanitary sewer for treatment. The state’s Department of Ecology, which has been evaluating “the appropriateness and feasibility” of creating an NDZ zone, plans to release a draft proposal for federal and public review by the end of this year. 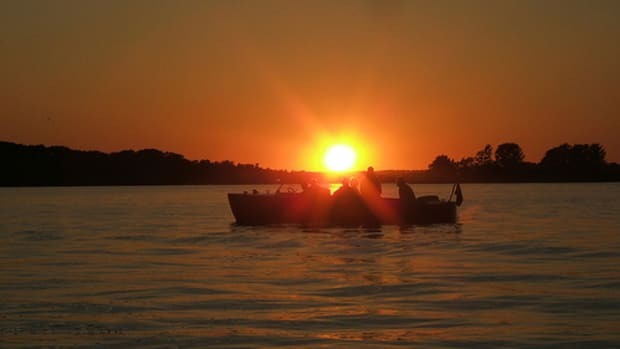 Boating groups have supported the evaluation study but say the state has not done the scientific studies necessary to establish the impact of waste discharges from boats, which they say would make it impossible to ever determine the effectiveness of a NDZ ban. They also said the DOE has not done a good job of informing or listening to the public. “Show us the numbers,” said Martha Comfort, a veteran Seattle boat broker and chairperson of the Washington Boating Alliance. “You can’t measure the problem,” she adds. Steve Greaves, president of the Recreational Boating Association of Washington, a voluntary organization representing boaters in the state capital, sounded a similar note. Greaves said the problem is so complex that his association has not yet taken a “yes or no” position on the NDZ proposal. Believing a huge NDZ would be ineffective, the association has suggested dumping bans in selected sensitive areas, such as bays with shellfish populations. The Canadian government has adopted a waste-discharge program in British Columbia waters that bans dumping in a number of popular harbors but allows it in mid channel of major waterways. While some boaters suggest that the discharge of boat waste in open waterways is so insignificant that it cannot be measured, they also note the problems associated with faulty septic systems on shore, drainage from farm fields, runoff from city streets and storm drains and the occasional spill of raw waste from treatment plants. The difference is that those problems are well known and the focus of ongoing corrective efforts. DOE studies report that about 95 percent of cruising yachts are fitted with Type 3 holding tanks and that a majority of them go to shore-side pump out stations to dispose of sewage. The sharpest impact of a NDZ likely would be to require owners of recreational and commercial craft using treatment systems to install holding tanks. No one knows how many boats in the region are fitted with Type 1 or 2 treatment units, but estimates range from 500 to 2,000. Some small working craft have neither holding tanks nor treatment systems. 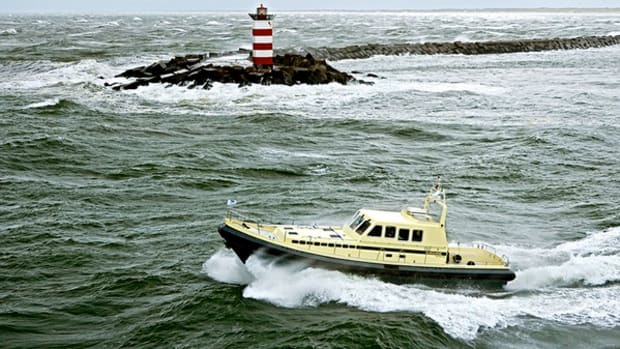 Some larger tugs and fishing vessels, however, use the most sophisticated Type 2 treatment systems and might be unable to install holding tanks because of space restrictions. Nor is there an accurate count of the number of boats in the area that would be affected. A DOE review of boat registrations in the region indicates a boating population of about 44,000 craft larger than 20 feet. A flyover and review of marina occupancy, however, tallied only 23,500 moorage spaces. The state concluded that there are enough pump out stations in the NDZ zone to serve them, except in the northern end of the zone. 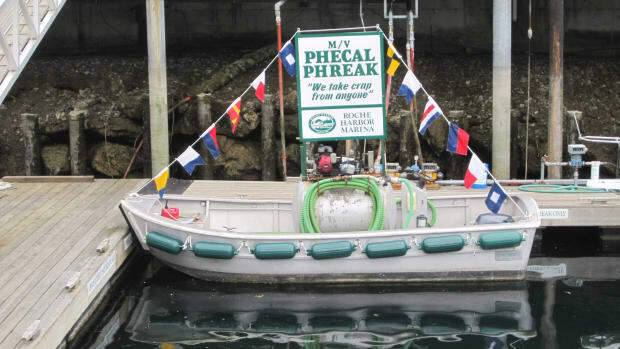 Today, pump outs are free for moorage customers in some marinas but fees elsewhere range as high as $30. The state has not evaluated the existing network of pump stations, many of which have only one mooring space, to determine ease of accessibility or whether it can serve peak-hour demand that might occur at the end of a nice cruising weekend. Some marinas with live-aboard tenants require regular pumping by mobile units and often write the requirement into a moorage contract. There are about 100 land-based pump-out stations in the proposed zone and nine businesses operate 12 boats that will go to marinas to empty tanks, mostly in the heavily populated Seattle-Tacoma area, the state said. Jankowiak said state grants and other funds may cover up to 75 percent of the cost of new public pump stations. The DOE has been approached by some proposing creation of a nonprofit corporation to build pumping stations, she said. 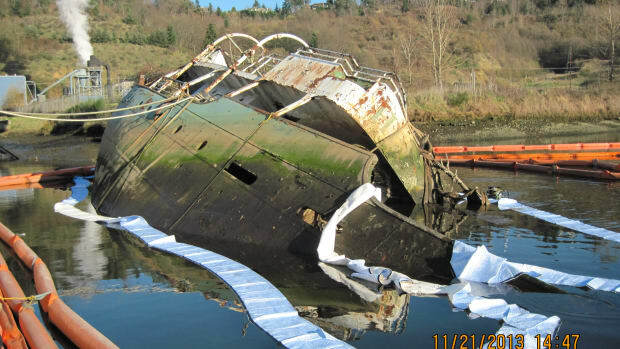 Supporters of onboard treatment systems argue that discharged wastes exceed federal requirements in terms of reducing the number of pathogens that survive treatment and should be allowed to discharge into marine waters. However, treated waste from some systems still may include solids, odors, discoloration and organic materials that consume dissolved oxygen in the water as it decomposes. How would a ban be enforced? Cities in the proposed zone have a limited number of small patrol craft and the Coast Guard has a host of other duties. Some fear the Department of Ecology would launch its own fleet of patrol craft and that might lead to further restrictions, such as a ban on the discharge of gray water from sinks and showers. There are legal questions regarding the ability of a local law enforcement agency to randomly stop and board a pleasure boat to check a tank Y valve. 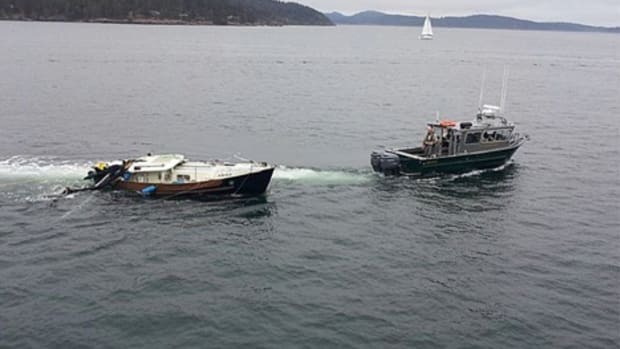 The Coast Guard may conduct random boardings. Jankowiak said that “education and outreach” will be the backbone of enforcement. The department does have the authority to take enforcement action but likely would work with other agencies, such as fish and wildlife agents, who have policing authority, she said.